Manila, Philippines - ABS-CBN's noontime show It's Showtime has named its first-ever grand winner of the kiddie competition 'Mini Me' on Saturday, June 14, 2014. The 'Mini Me' of Michael Jackson Nhikzy Vheench Calma won the contest. 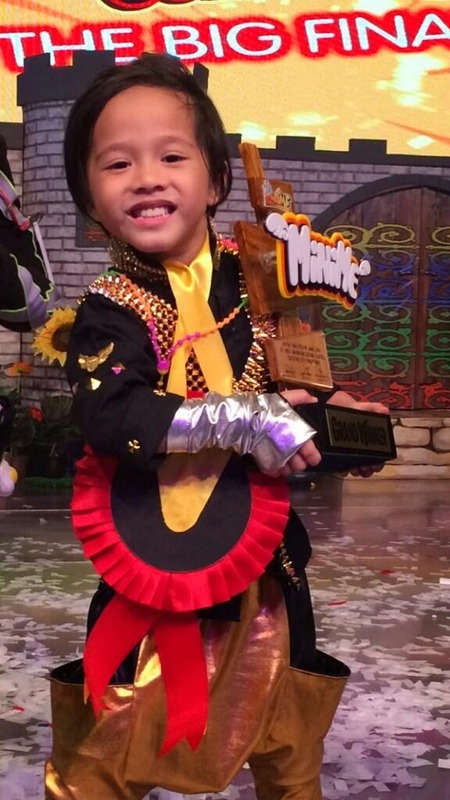 The 4-year old talented Mini Michael Jackson from San Andres Bukid, Manila got the highest score from the judges. He bagged the top honor and will bring home P300,000 cash prize. The Mini Me second runner-up was Mini Bamboo Zymon Ezekiel Pineda while Mini Vhong Navarro John Steven de Guzman got the first runner-up award. The group of Mark Jason Santos, Justin Tonido, and Rhaine Santos (Mini Me’s of Vhong Navarro, Billy Crawford, and Jhong Hilario, respectively), Margarette Mitch Naco (“Mini Me” of Sandara Park), Nhikzy Vheench Calma (“Mini Me” of Michael Jackson), Reese Partolan (“Mini Me” of Rochelle Pangilinan), Telesa Marie De Torres (“Mini Me” of Lea Salonga), Jared Macacando ("MiniMe" of Jhong Hilario), Isaac Biel Reodica ("MiniMe" of Jugs Jugueta), Zymon Ezekiel Pineda ("MiniMe" of Bamboo), John Steven de Guzman ("MiniMe" of Vhong Navarro) and Jonicka Cyleen Movido ("MiniMe" of Mutya Orquia) have battled on the Big Finale. It's Showtime also announced the winners of special awards: the list includes Zymon Ezekiel Pineda (Most Charming Award), Nhikzy Vheench Calma ( Friendly Award), Margarette Mitch Naco (Most Behaved Award), Isaac Biel Reodica (Best in Artwork Award) and Telesa Marie De Torres (Best in Talent). Sitting as judges for the grand finals are “Goin’ Bulilit” director Bobot Mortiz, former child star and actress Empress, former child wonder Niño Muhlach, actress Janice de Belen and host and resident judge Jhong Hilario. 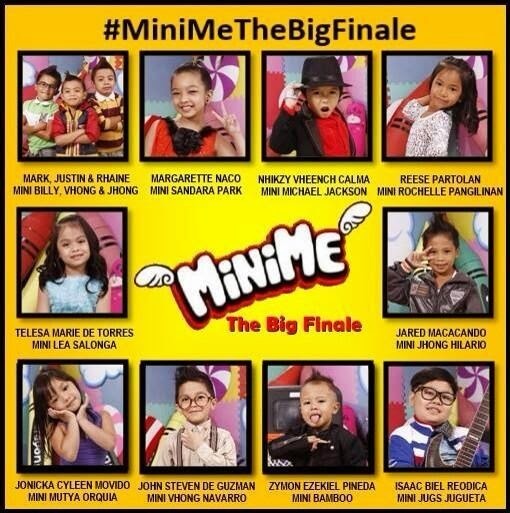 The grand finals of Mini Me became the top trending topic on Twitter Philippines and Worldwide with the official hashtag '#MiniMeTheBigFinale' dominates online conversations. Mini Me is a segment of the show for kids aged 9 and below. Each contestant is featured as a mini version of his or her idol celebrity and will perform the chosen talent.